For some reason, it seems that I can't bring myself to stop playing roguelike/lite games, even though my criticism of them remains the same every time I lay a new one. 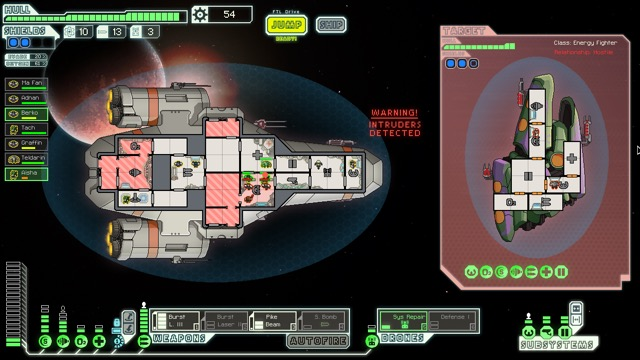 FTL has been out for several years now, and while it does bring a slightly different style to the genre, it does so in a shell that can feel almost punishingly random, even after dozens of tries. It is a game about time management, a game about the agony of unknown decisions, a game about hoping for the best all wrapped up in a skin of a procedurally generated roguelike/lite space game.